Dan Lee is the Managing Editor of West 86th, the BGC’s journal. He is also Director of BGC Learned Publications. We recently chatted about the range of publications that are a part of the Research Institute at the BGC. EPS: Dan, both you and Paul Stirton, the editor of West 86th, have transformed this journal since its re-launch. Tell us a little about what you have been trying to do. DL: Hi Elena. The journal is really a reflection of what the BGC has become over the years and hopefully it conveys some of what we do and what interests us as a research institute dedicated to the study of the decorative arts, design history, and material culture. Our institutional remit has gradually broadened over time and from the beginning of the journal re-launch about three years ago, we wanted to convey this broadening by publishing scholarship on objects and artifacts from all periods and cultures and also to accommodate perspectives that come from across academic disciplines. We aren’t narrowly focused and as Paul is fond of saying, “We have no methodological axe to grind.” If you take a look at what we’ve published so far, I hope that you’ll see a pretty close correlation between who and what we publish and the kinds of scholarship we see in action every day within the confines of our West 86th Street campus through our classes, gallery, seminar series, and lecture events and through the everyday research, writing, and conversation that’s being carried out by our faculty, students, staff, fellows, and guests. A perfect example of this kind of synergy is an article that appears in the current issue of West 86th by Jeffrey Schnapp called “Crystalline Bodies: Fragments of a Cultural History of Glass.” We first heard a form of this article about two years ago at one of our evening endowed seminars (The Paul and Irene Hollister Seminar on Glass). Since that time, we worked with Jeffrey on turning what was a fabulous talk on the role of tempered glass in the modernist imagination (from architecture in fascist Italy to the transparent and anatomically revealing Glass Man and Glass Woman featured in the German Hygiene Museum in Dresden) into the polished piece that now appears in the journal. One of the things I’m constantly trying to explain to people who aren’t familiar with the journal is how beautiful it is in print. This isn’t your standard academic journal. We put a good deal of thought, effort, and resources into the design and layout of each issue, right down to the ragged right margins. Chances are you will see more and better high-quality, full-color illustrations in our pages than in any other scholarly journal. While most people will access our content electronically through JSTOR or through the subscription packages that our fantastic publisher, the University of Chicago Press, supplies through institutional libraries, we want everyone to know how beautiful the printed object is and what a pleasure it is to feel the weight and texture of the paper stock and see the contrast of the ink and colors on the page. We wouldn’t be who we are if we neglected this very real and material aspect of our identity. I think the TLS review from last year captures it best: “Articles are meticulously referenced and supported by photographs and graphics. The result is both stylish and comprehensive. Of interest both to the expert and the amateur enthusiast, West 86th is a splendid addition to scholarship on material culture in all its facets.” A proud moment for us, but something we have to live up to with each issue. EPS: Indeed, having a high bar to strive for is always a good thing. Dan, tell us a little about your background and some of what you have done before your arrival at the BGC. DL: Well, I was consistently unsure of what to do in life, except that I liked to read and to write. I attended St. John’s College in Annapolis, Maryland, where I feel like I first learned how to really read and how to engage with texts and become immersed in the ongoing conversation that good books can facilitate. After my undergraduate studies, I ended up on a Fulbright grant in Budapest, Hungary to study the mass migration of peoples such as the Huns through Europe in the fifth century. Unsure of what to do next, I ended up at the University of Chicago for a brief stint, where I got to read War and Peace with JM Coetzee and Jonathan Lear; after receiving my master’s degree, I started working for the University of Chicago Press, again because I was unsure of what to do with myself, but working with books and with scholars was always appealing. From there, I spent some time at Yale University Press and then at Harvard University Press. It was while I was at Harvard that I first encountered the BGC, through a book series called Cultural Histories of the Material World that was brought to my attention by Bob Darnton, Harvard University Librarian and professor of history. It was Bob who introduced me to Dean Miller, and the rest, as they say, is history. EPS: Happily for us! 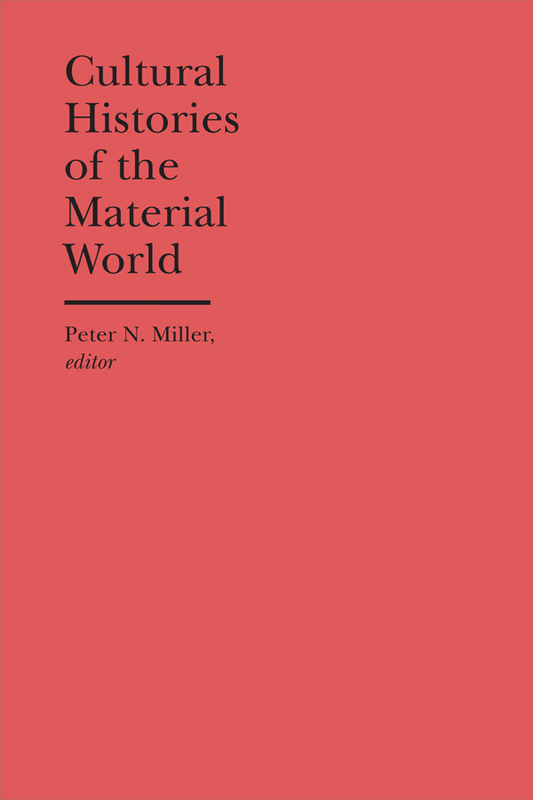 The book series, Cultural Histories of the Material World, has already had three impressive books launched. Tell us about the series, and a little about those books. DL: Simply put, Cultural Histories of the Material World is an ambitious series that’s dedicated to exploring the ways that humans have shaped and interpreted the material world that’s all around. Our contributors come from a wide array of disciplines—there are historians of art and design, science and technology, culture, economics, media, and landscape, along with anthropologists, archaeologists, literary scholars, musicologists, philosophers, and practitioners of the arts among others. 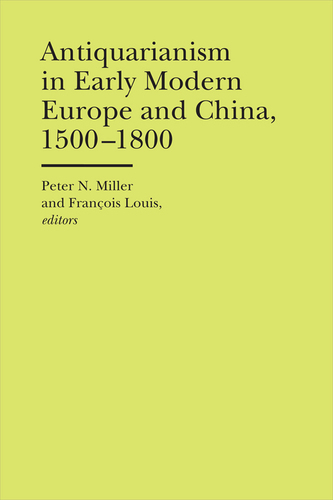 The first three books in the series, Antiquarianism and Intellectual Life in Europe and China, 1500-1800 (CHMW 1), The Sea: Thalassography and Historiography (CHMW 2), and the eponymous Cultural Histories of the Material World (CHMW 3), were published by the University of Michigan Press over the last two years. 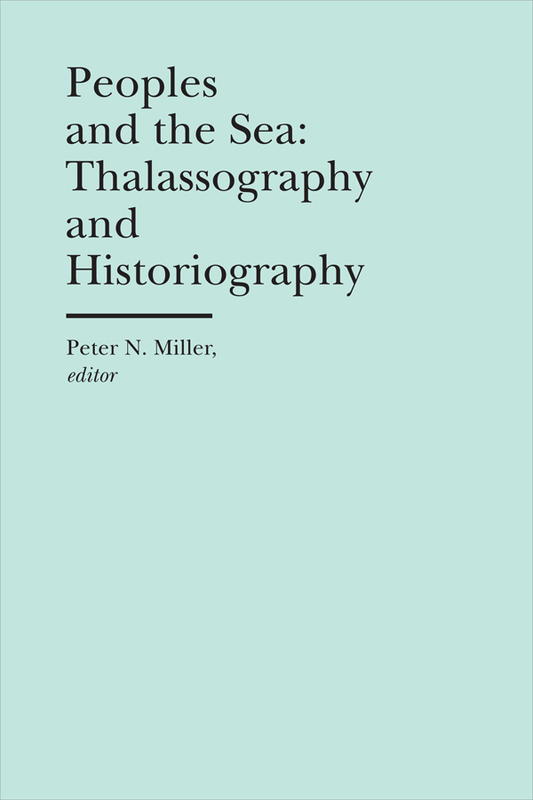 They gathered together some of the leading scholars in their respective fields and variously explored the comparative material histories and practice of antiquarianism in Europe and China (CHMW 1), the ways in which sea-based history-writing focused on material exchange influences the practice of historical scholarship itself (CHMW 2), and the deep relationship between the man-made and the natural as seen by twenty-three contributors across disciplines and continents (CHMW 3). This last volume really lays out the stakes and prepares some of the groundwork for what is to come in future volumes. Between these first three volumes alone, there are a lot of new facets of materiality for a scholar to encounter and engage. It’s obvious that material culture does not belong to any one discipline and that its study has relevance that could reverberate for many years to come throughout the arts and humanities. EPS: So, tell us what’s next in this important series? 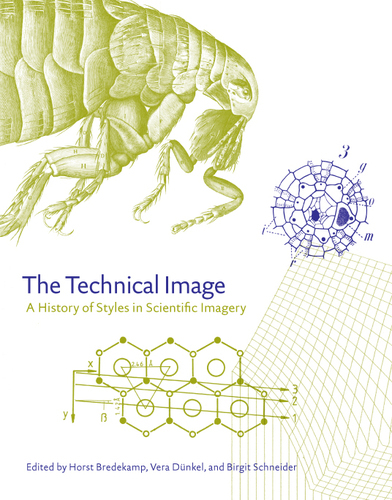 The next two books in the series are Ways of Making and Knowing: The Material Culture of Empirical Knowledge (edited by Pamela Smith at Columbia, Hal Cook at Brown, and Amy Meyers, of the Yale Center for British Art) and a book called The Technical Image: A History of Styles in Scientific Imagery, which is collaborative effort between the BGC and the members of Das Technische Bild, a research project founded in 2000 by Horst Bredekamp at the Humboldt University of Berlin. After that, we have a book in the works from Ben Kafka, Lilly Chumley, and Lisa Gitelman of NYU called The Paper Trail: Photographs from the Survey of Federal Archives, Oregon, 1935-36, which will be a major contribution to the emerging field of “paperwork studies” that scholars like Kafka and Gitelman have been spearheading. (Both were featured in a New York Times profile called “The Paper Trail Through History” last December.) 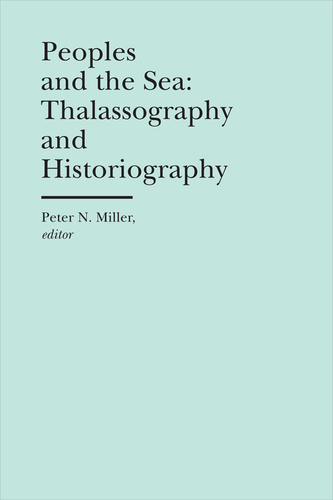 We also have a collection on Ex Votos across periods and cultures, a volume called The Anthropology of Expeditions: Travel, Visualities, Afterlives, and several translations of primary source materials in process, including the first English-language translation of the German historian Karl Schlögel’s important work Im Raume lesen wir die Zeit (In Space We Read Time: On the History of Civilization and Geopolitics), which takes history back to its geographical and spatial roots. We’re also moving towards publishing some shorter-length monographs; we’re in conversations with several authors about new projects and are always interested in receiving relevant proposals. EPS: An amazing agenda, especially in the light of so many that have expressed concern about the future of academic publishing in this country. 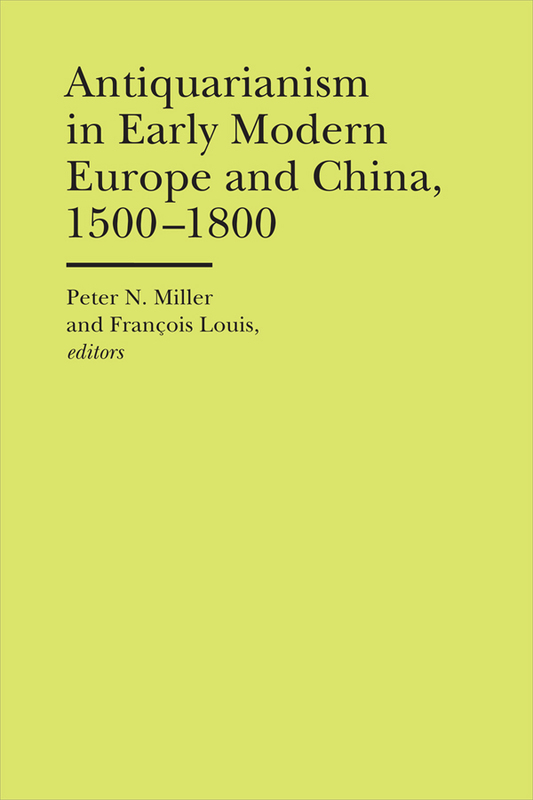 Tell us why these kinds of scholarly works need to continue to see the light of day in book form. DL: While it’s true that there is a great deal of concern about the future of academic publishing—particularly in the arts and humanities—the demand for good, well-written, well-reasoned, and well-researched scholarship has not gone away. New topics and debates emerge and scholarship goes on. 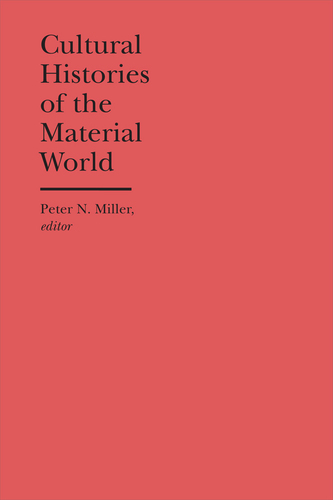 There may be a more widespread public perception that the value of a scholarly monograph or collection of essays on the materiality of color or on “thingness” is suspect, but anyone who is engaged in serious scholarship—anyone who is actively involved in research or writing in the humanities—doesn’t question the value inherent in pursuing knowledge and in knowing oneself or one’s culture and place in the world to the fullest possible extent. There is a broader debate about the value of all of the Humanities and its place in the University and in education in general that I find to be exceedingly disturbing. I think the whole premise that scholarly publishing doesn’t really follow a sustainable business model and thus ought to be cut or that a humanities education doesn’t really work out in terms of a cost-benefit analysis of one’s life is wrong and it really begs the question. Just because some people don’t value the humanities, doesn’t mean the humanities are ipso facto worthless. The humanities and humanities-based research and publishing is done because this is a human endeavor that a lot of people still value and cherish and pursue for its own sake. Its part of what makes us who we are. People don’t become art or design or cultural historians in order to get rich or even to balance their checkbooks. Like anything people are passionate about, they do it in spite of the hurdles set out before them. Sure, there are new tools and technologies that enable our research and help to spread information further afield; the Internet and all of the changes that it’s wrought are now taken mostly for granted (not that we understand everything about what’s happening as it’s occurring, but that it’s happening, nobody debates). But I don’t see the desire for the book and the kind of unique story that each one tells to ever go away. EPS: Great response. What do you think the next 10 years in academic publishing will bring? DL:The landscape potentially could change quite a bit, but I think it would be a mistake for publishers to panic and change things just for the sake of changing. I feel like I was in the thick of some of this kind of thinking in the past decade as Presses began moving towards digital workflows and making some necessary changes to accommodate new electronic publishing formats (I was director of Digital Publishing at Yale and Harvard). The economics of scholarly publishing never quite made sense, but we were all happy going along with it until suddenly, we weren’t. Academic presses can’t survive on their own or without the support of their home institutions. The survival of these Presses really depends on the survival of the humanities and whether their host institutions continue to value some pretty basic humanistic pursuits. If the priority for a scholarly, University-based publisher or for its sponsoring institution becomes how many copies a book is able to sell in its first month or two of publication, then they ought to just start disbanding now and leave the business of books to Basic or to Brill. EPS: Are you an optimist or a pessimist on this topic? DL: I guess I’m as optimistic as a natural pessimist can be. Scholarship will go on—even if it reverts back to personal letters exchanged between interested and educated individuals who share a common and intense interest in a topic, like the antiquarians of old. There are some who want to go back to a form of pre-publishing in the scholarly context. Or to use new technologies to do away with publishers and other intermediaries all together since they’re often perceived as posing restrictive and unnecessary obstacles to getting one’s work out fast. It’s true: there are a lot of annoying, frustrating things about the publication process that we all complain about—proposals, meetings, permissions, deadlines, delays; but in the end all of these painful processes, all of the behind the scenes work that’s done to bring a manuscript into book shape—editing, design, production, marketing, distribution, not to mention all of the back and forth in negotiating reviews, reports, revisions, contracts, etc.—all of this invisible hard labor is what makes a book a book. Each book is a real accomplishment. It’s difficult to see this whole enterprise as worthless and replaceable by a blog or a series of exchanges on the latest social network. It shouldn’t take a scholar of the book to know that producing a book is a huge (and often expensive) collaborative effort between dozens of interested parties. Really, it ought to inspire wonder that there are so many people still invested in bringing the written word to life or to shaping complex theories and ideas in order to advance human understanding. It can be done better at times and the process can stand to move more efficiently, but it’s an encouraging sign that not everything we work for or towards is some disposable or consumable commodity, to be measured purely in terms of monetary profit or loss. But whether this is something that anyone will still care about in ten or twenty years is anybody’s guess. We live in a weird world.